During the Red Ribbon Week nationwide anti-drug awareness and prevention campaign make a statement: I've Got Better Things to do Than Drugs. 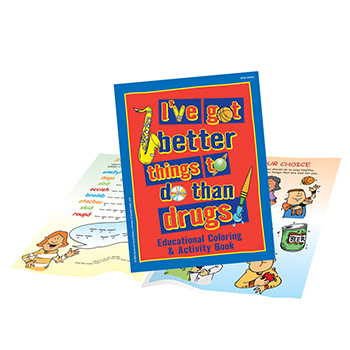 Focused on elementary school students, local community groups, and organizations, Red Ribbon Resources is proud to offer the I've Got Better Things to do Than Drugs sling-a-long bag, self-stick ribbon, wrist wrap, sticker roll, bookmark, and more. Promote a better, healthier way of living and be drug-free.